Anyone looking to access the power of their subconscious can now do so with the launch of MindMaster. This revolutionary new technology allows users to set up customizable subliminal messages, images and affirmations on their computers. Compared to hypnosis, MindMaster is the quick, easy and low-cost way to harness and access powers you never thought possible. The new breakthrough technology program MindMaster allows anyone to quickly access the power of their subconscious mind, faster and easier than hypnosis. Through subliminal messages and positive affirmations, MindMaster allows users to lose weight, stop smoking, reduce stress and anxiety, or enhance any area of their lives. This revolutionary technology from MindMaster.TV is now available for download directly over the Internet. Hypnosis is a great way to access the subconscious mind to bring about changes in one’s life. However, the problem with hypnosis is that if the person undergoing it has trouble focusing and relaxing, the hypnotherapist will have difficulty getting through. And while a good hypnotherapist can help patients, it takes significant time and money to look for one. With the current downturn in the economy, people are looking for ways to save money and still achieve desired results. Both hypnosis and MindMaster are intended to deliver messages to the subconscious mind in order to bring about changes in thoughts, behaviors, actions, attitudes, belief systems and value systems. The difference is hypnosis usually requires a conscious effort by the user to follow verbal instructions, while the technology MindMaster uses does not. “Being a psychiatrist for the past 16 years, I have to say that MindMaster is a real breakthrough in the area of personal development,” says Doctor Gary Casaccio. MindMaster is light years ahead of subliminal tapes and other self-help and motivational programs and uses the same type of technology that has been scientifically proven and independently verified by studies at the University College of London and other major universities. MindMaster is completely customizable and works by flashing custom affirmations and subliminal images on a user’s PC while it is in use. The user selects the messages, customizes them with a few simple clicks, and sets the location and speed at which the messages will appear. The program then works silently in the background whenever the computer is in use. Since it is proven that the subconscious mind thinks in images, users can also use Google or Yahoo Images to select any images from the billions available online and paste them into the program. MindMaster can deliver up to 3,600 customized affirmations and images to your subconscious mind per hour, making the program extremely powerful in bringing about changes quickly without using hypnosis or a hypnotherapist. Another great feature about MindMaster is that a computer’s screensaver can be set to display the program’s motivational messages and images. This way, when the computer is not in active use, the user can still reap the benefit of instructing the conscious mind to help bring about change. A Demo Version of MindMaster is available on http://www.MindMaster.TV. The company also offers a 14-day free trial. After the trial, users pay a one-time fee of $44.95, which gives them the program for life. Medical doctors, hypnotherapists, natural healers, NLP trainers and bloggers who blog about the program are currently being offered MindMaster at 25 percent off; after purchase, simply e-mail the company and they will credit 25 percent back. Overall, MindMaster is much less expensive than visiting a local hypnotherapist for a hypnosis session, especially when you take in to consideration that MindMaster provides a lifetime of customized use. 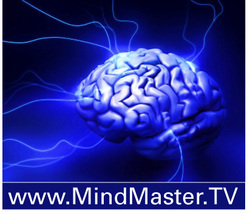 For more information about MindMaster and its technique of using subliminal messages to unleash the subconscious mind, or for more information about MindMaster’s benefits over hypnosis, visit http://www.MindMaster.tv/hypnosis. MindMaster can also be found on Facebook at http://www.facebook.com/mindmaster.tv.